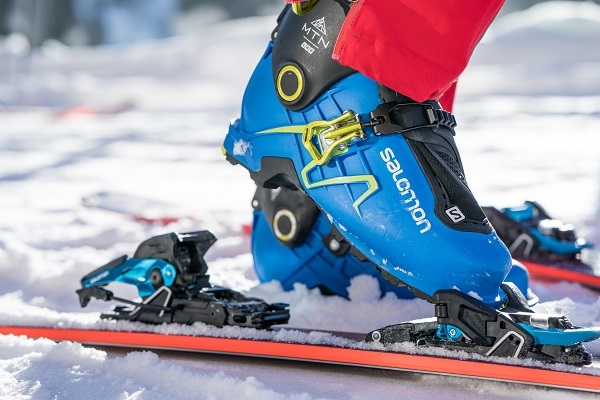 This type of ski binding is the old-school free-heel ski style which only works with Telemark boots, but luckily, they are not as pricey as other types of ski bindings. Telemark bindings have a fixed toe piece which comes either with or without a cable and a heel throw. 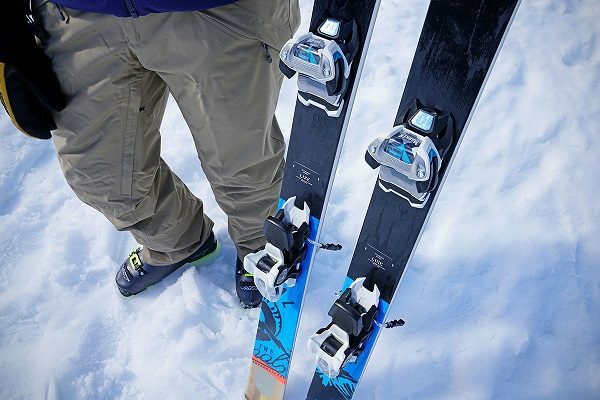 There’s a simple heel plate that comes with these skiing bindings and there’s also an option for a climbing bar for easier hiking. They are mainly used for touring on soft snow because they provide the least amount of support. 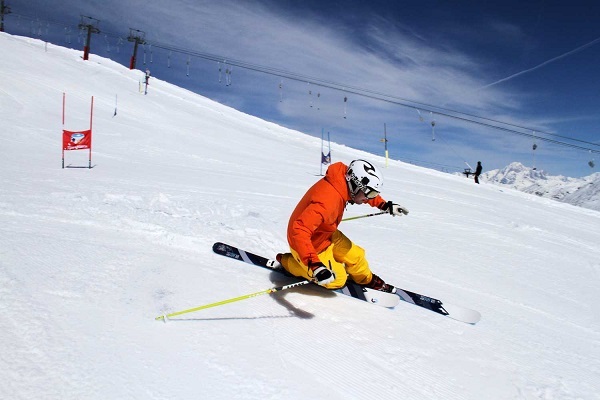 These are made to be used in multiple categories such as freestyle, sport, race, and freeride. Standard alpine bindings are also known for making use of the DIN (Deutsche Industrie Norm) release setting, the best out of every other type out there. This means that during a fall, an alpine binding will release in order to reduce injuries. The DIN setting will be determined based on your skill level and weight. These type of bindings consist of a toe piece with AFD (anti-friction device) and the heel piece here comes with a ski break. 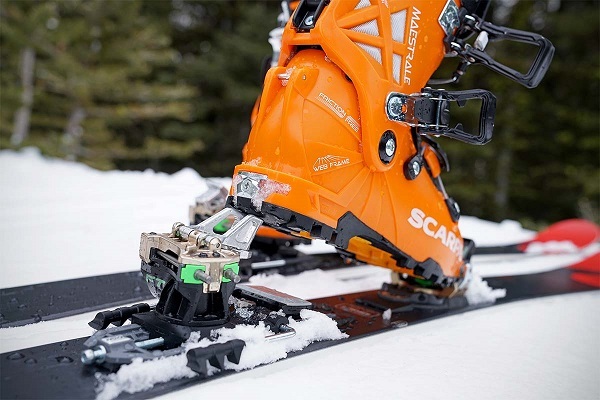 Most alpine bindings allow you to adjust their height and have various platform widths. Frame AT (Alpine Touring) bindings are good at providing you with a safe touring platform and they are also great for backcountry skiing. The bindings have a base plate and a frame link that go up to the toe and heel. When in hike mode, the binding is able to pivot in order to allow for a free-heel climbing. When you are descending, the bindings will lock in order to provide you with an alpine-like performance. This type of bindings is compatible with alpine boots that have a walk mode option and they are also very durable. Frame AT skiing bindings operate similarly to standard alpine bindings. This type of skiing bindings is meant to be used by experienced professionals as they do not have brakes on them for easier uphill skiing. They are very light but come at very high prices and can only be used with specific alpine touring boots that use special steel fittings. 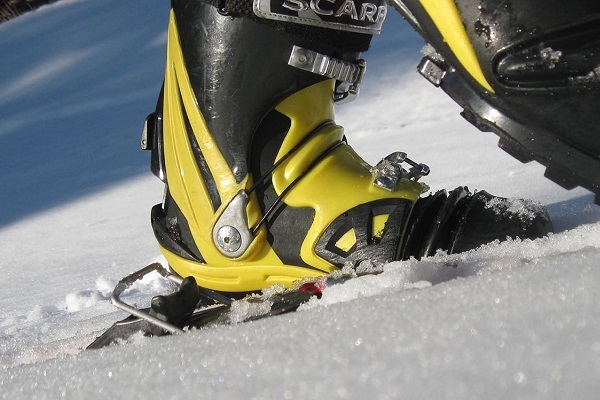 With these bindings, you are able to pivot your toe when walking uphill which is not the case with the other types. A pair of standard Tech AT bindings doesn’t come with a certified DIN release rating.